It was not a pleasant return to the Appeal Court for Ayo Salami. Salami, the man who used to be president of the Court of Appeal, had his referral suit thrown out by the Abuja Division of the court, who declared it “incompetent.” Salami is challenging his suspension as the president of the court. The unanimous decision of the justices was read by Justice Hussein Mukhtar. The justices ruled that the processes transmitted to the Appeal Court by the Registrar of the Federal High Court, where the suit was referred from, were incompetent because they did not comply with Order 5, Rules (1) and (2) of the Court of Appeal. “The provisions of Order 5, Rule 1 and 2 require mandatory compliance… and the letter by the Registrar of the Federal High Court has not satisfied these mandatory requirements. I hereby hold that the processes filed by the Registrar of the Federal High Court are therefore incompetent,” Justice Mukhtar said. What the Registrar of the High Court did, according to Justice Mukhtar, was merely transmit the March 15, 2012 ruling of High Court Judge Donatus Okorowo, motion argued, affidavit in support, as well as the enrolled order. The prayer by Olujimi was opposed by counsel to all the defendants/respondents, including Godwin Iyinbor (1st defendant), David Adegbe (2nd and 8th defendant), Wale Odeleye (3rd respondent as well as for 4th and 9th respondents). The opposing counsels contended that a request for adjournment was not in order since there was no competent process before the court to warrant it. The suit was subsequently struck out. The referral suit arose from the lower court where Justice Salami is challenging his suspension on August 18, 2011 by the National Judicial Council (NJC). 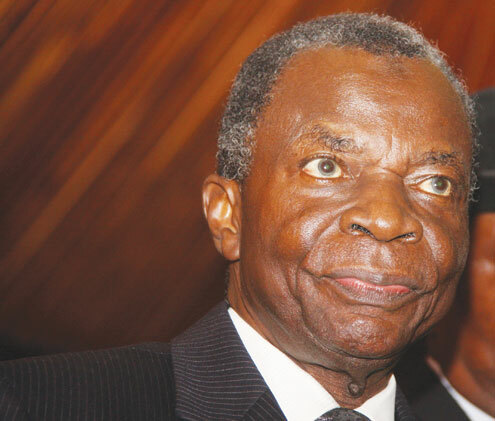 Justice Salami had through his counsel, Olujimi (SAN) prayed the lower court via a motion brought pursuant to Section 295(2) of the 1999 Constitution as amended, for stay of proceedings pending the determination of the referral suit by the Appeal Court. The case is now expected to continue at the high court. Many Nigerians wonder why this case has dragged on for so long considering that the National Judicial Council which recommended Salami’s suspension recalled him in May 2012. The president has not acted on the recommendations of the National Judicial Council, stating that the matter is in the courts.